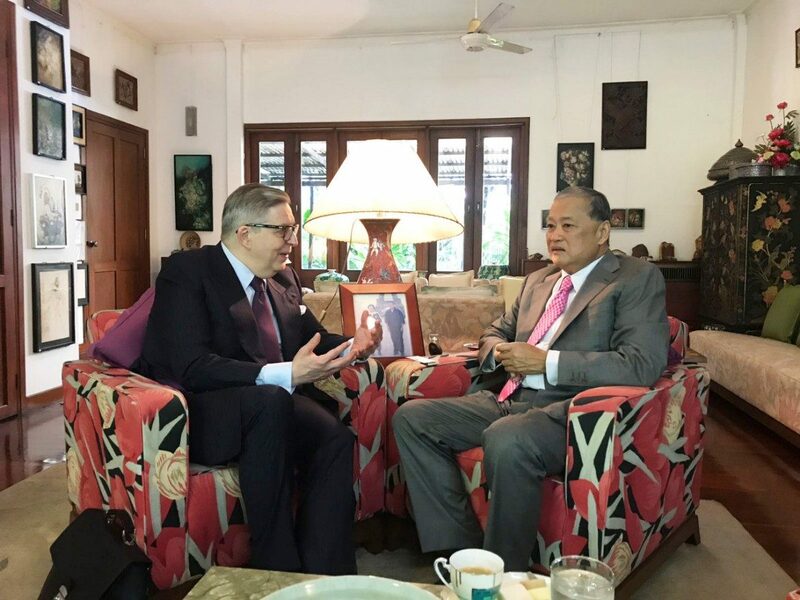 How long have you been the Ambassador to Thailand? 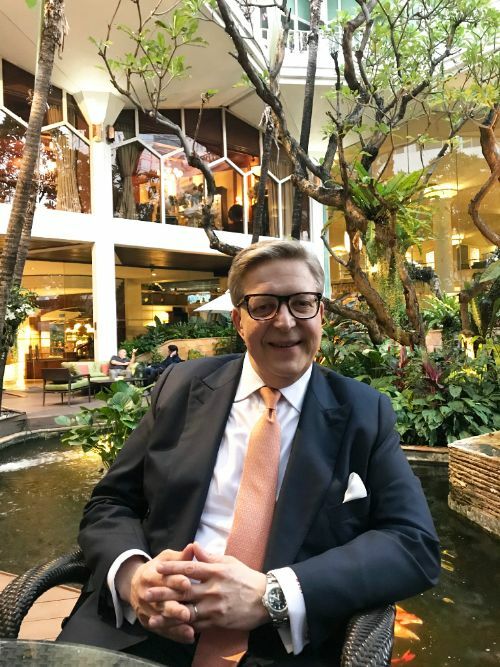 I arrived in Thailand in the autumn of 2017 and received Royal Permission to exercise my duties as the Ambassador of the European Union to the Kingdom of Thailand in early December 2017. Did you arrive to Thailand from home, or were you posted somewhere else before? Before coming to Thailand, I served as Ambassador of the European Union to the Republic of Moldova, from 2013 until August 2017. I was born in Helsinki, in the northern part of the European Union, in Finland. After that, I had an international childhood, involving not just Helsinki, but also in Paris and New York. At which age did you decide you wanted to become a diplomat? I cannot really recall; I think I always wanted to be a diplomat. It felt natural, as I come from a family with some diplomats. Do you have more diplomats in your family? My grandfather was a career diplomat, and my father is a retired senior UN official. My mother, however, became a politician. How do you look at Thailand today, have you had many obstacles in your way since you arrived? I love this country very much. As you may know, I was first posted here 20 years ago, from 1998 to 2001. Thus, I knew the Kingdom before coming here in 2017 as Ambassador. Of course, the country has changed a lot in the past two decades. It has for one, certainly become much wealthier, which I am happy to note. You can see how Bangkok has become a rich city. When I arrived, I would say we were still in a “rather calm” period in our political relationship, following the 2014 military takeover. Our relationship had become less intense. However, in December 2017 we adjusted the implementation of our policy to reflect changes in the situation on the ground, especially as Thailand was now moving towards parliamentary elections. My ambition is to see the relationship move to a completely new level after the elections. Do you see any similarities between your country and Thailand? I represent the European Union, which is a culturally varied political union. Thailand then again is a much more unified state. So you could talk about big differences. However, there is much more in common than meets the eye. Thailand lies geographically at the crossroads of different cultures. While the Thai nation is very prominently present, you have many people coming from neighbouring countries, and many subcultures from Chinese to Malay. You also have a history and a present characterised by migration. This is a positive thing. You have increasing diversity and you too are ‘United in Diversity’, which is the motto of the European Union. Do you have children? What age are they and where do they go to school? I have sixteen year old twin girls, Isabella and Naomi, who turn seventeen this summer. They go to the European school in Brussels. My son, Samuel, lives with my wife, Olga, and I, here in Bangkok. He is 14, and attends the Lycée Français International de Bangkok. How do you look upon your work here? How does an average day look like? I am one of those very lucky people who can genuinely say that they truly love their job. I enjoy engaging with different societies, cultures, and countries. I like the wide variety that my work entails and I am proud to represent the European Union, which is a truly global player. We are a global player in politics, security, trade and assistance, just to mention a few fields. In addition to our political role, while I am Ambassador only to the Kingdom of Thailand, there are parts of the EU mission here which are accredited to other counties. We host a number of regional hubs. That brings another element to my work, which is also very much about management. I need to look at management standards and ensure that the entire diplomatic mission works in a smooth manner, with a rational use of resources. I am one of those people who enjoy management. On the diplomatic side, there is also a lot of social interaction, from meetings to receptions, to dinners. It is work, but in a very pleasant manner, even though I must admit that sometimes the schedule does get awfully busy. So there is no average day, and one of the reasons I became a diplomat was that there would never be one. As every Ambassador, I assume you have some goals you really would like to reach/fulfil before you leave Thailand? I came to Thailand with the high level of ambition and personal objectives. As I explained earlier, our political relationship was in a calm period after the military takeover, but the building blocks for a stronger relationship were always there. Admittedly, some of them were on the shelf, some were being used. We have a long-standing relationship between the European Union and Thailand and an even longer relationship between Europe and Thailand. The Kingdom is a key regional player, and a natural ally in defending a rules-based international multilateral order, something which is increasingly under threat. Based on this, I, of course, hope that by the time I eventually leave Bangkok at the end of my mandate, our relationship will be at a completely new level. I came with the personal goal of contributing to taking the EU-Thailand relationship and the EU-ASEAN relationship to another level. We have a Partnership and Cooperation Agreement which has been initialed but not signed, pending democratic elections. Its signing will take us to a new level of institutional co-operation. We started negotiations on a Free Trade Agreement, but have not been able to continue them because of political realities on the ground. Here too, I hope that after the elections, we will be able to resume the negotiations based on the preparatory work that has been done. We have many common interests. The EU is Thailand’s third largest trading partner. So, we do have a mutual interest to bring our trade relations forward. We are also the third largest investor in Thailand. Furthermore, we are Thailand’s second largest investment destination. For instance in retail, a major Thai group runs upmarket department stores all over Europe. Over 200,000 EU citizens live in Thailand and almost five million Europeans visit every year. All of this demonstrates just how closely we are interlinked. My objective therefore, is that we would get our relationship to that next level, where it really belongs. This also implies that we would get our relationship between the European Union and ASEAN to a new level. At the EU–ASEAN Foreign Ministers’ meeting in Brussels, in January, the sides agreed in principle to raise our relations to a Strategic Partnership, with the timing and details still to be worked out. Have you been travelling around in Thailand? Yes, I have travelled throughout Thailand. Much of this was already 20 years ago, but I am still continuing to explore this beautiful country now that I have returned to Thailand. Until now, what is your favourite destination in Thailand? I love the North and I love Chiang Mai. Of course, there are many other fabulous destinations as well, but if I have to name my absolute favourite, it would be Chiang Mai. When you have a day off, what do you prefer to do? Do you have any special hobby? One of the things I try to do regularly is to go to the gym and keep myself healthy because you do end up sitting quite a lot on a daily basis. I have many hobbies, from cooking, which I try to do over the weekend for the family, not always successfully. I also read a lot, visiting antique stores, wandering around Chatuchak Market. Despite the heat, we like walking in Bangkok. We also love to find new restaurants to have dinner. Bangkok has become such an exciting dining destination in general, there is Thai cuisine and a lot of other options as well. It is no surprise as a diplomat that I am an avid traveller. How many of the EU community are living in Thailand? When and why did Thailand become a desirable destination for Europeans? As I mentioned earlier, the estimate is more than 200,000 EU citizens. Thailand is an attractive destination to live, due to its climate, resorts, lovely people and good services. It is also a regional hub making it easy to move in and out. There are people who live here permanently for work and also those who retire here. It’s a very comfortable destination. Does the European Union and Thailand have an exchange programme for students today? Yes, we offer the Erasmus scholarship – an exchange programme offering a range of opportunities for higher education students, doctoral candidates, staff and institutions from around the word. In 2017, we celebrated 30 years of Erasmus. There is strong consensus inside the Union that Erasmus is one of Europe’s success stories and must be continued. Not only should it be continued, but we should make it bigger, so that it can reach more people. Outside Europe too, there was great support for continuing both the mobility and the co-operation projects that Erasmus Plus supports. So in autumn 2018, the European Commission proposed a new programme from 20212027. 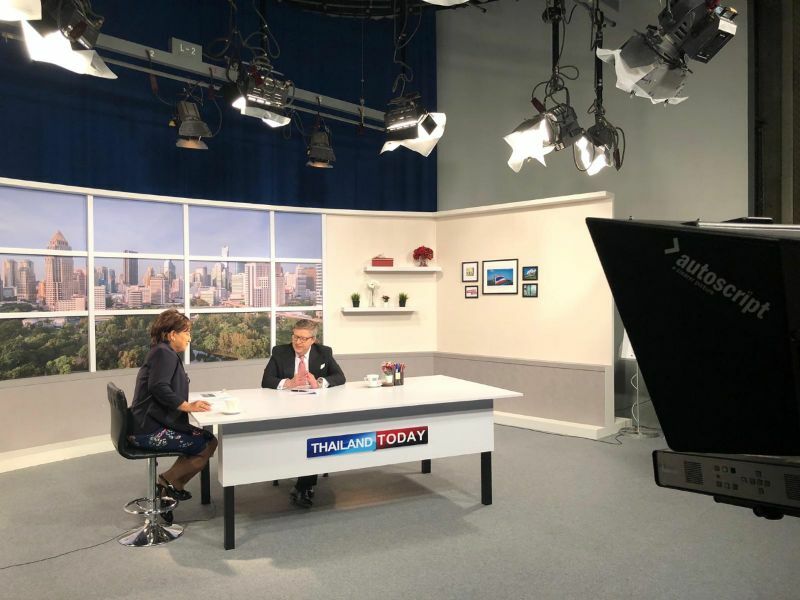 It will have a larger budget, and will continue with a strong international dimension that will allow Thai students, staff and universities to benefit from an experience in Europe or from a cooperation project with European and other Asian partner universities. Two current opportunities for Thai students will continue under the new programme. Under the current programme (2014-2020), Erasmus Plus funds student and mobility of academic staff between Europe and Asia. For example, in 2018 we selected 48 partnerships that are busy sending 190 Thai students and staff to Europe, where Thai institutions will host 145 Europeans. Every year the EU selects a similar number of partnerships for Thailand. We’re looking at ways to make this opportunity work even better in the new programme. This will probably also include traineeships as well as the classic academic study period. Our Erasmus Mundus joint master degree programmes offer EU financed scholarships to students worldwide. Thai applicants are very successful. These joint master degree programmes – which include study at two or more different European universities – will also continue in the new programme. If you could choose your next destination, where would you like to go? I am very happy with my current job enjoying my return to Thailand at the moment, so I do not want to look to my next destination yet. Any memory from Thailand that you would like to tell us, an awkward situation, a real fun moment, etc? I recall many beautiful moments sitting by the Chao Phraya, looking at the sunset. As for a real fun moment, let us just say that when you come from a region where languages have fundamentally different structures, you sometimes get into trouble even when you try to speak the same language, either me trying to speak Thai or some others trying to speak English. Do you regularly meet up with your community? The European community here is very large and of course we have much cooperation with Ambassadors of the other EU Member States. 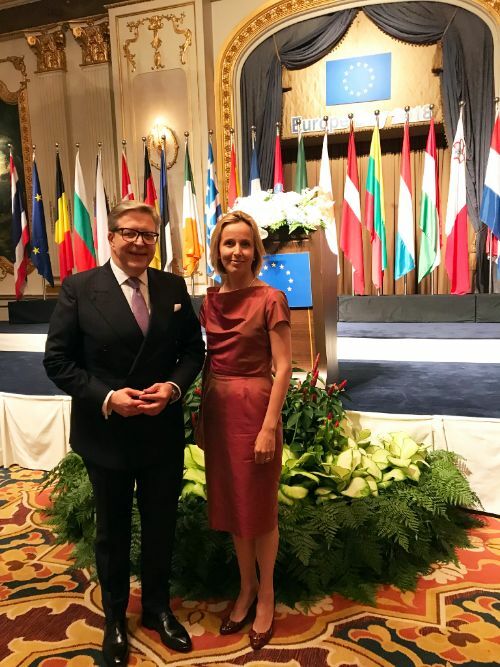 Let me note that I am really keen on helping to build a unified voice for European business, working together with the European Association for Business and Commerce – or EABC – which is basically our European Chamber of Commerce here in Thailand. I meet regularly with the EABC. Which is the most important task you want to reach/fulfil before you end your time in Thailand? 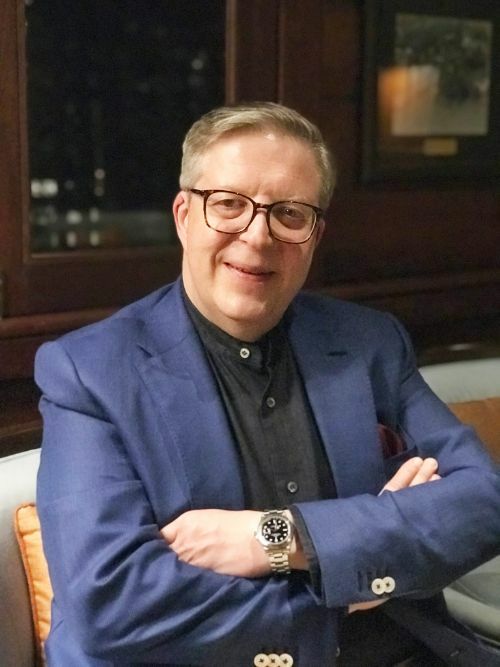 I think that every Ambassador arrives full of ambitions: At the same time, much of your job is really about tending to a relationship, keeping it going. In this context, you are truly lucky when you are in a situation where new beginnings are possible. I already talked about wanting to see our relationship going in the right direction with negotiations with the Free Trade Agreement, and of our political partnership. So, I would like to see this relationship rise to a new level. This does not just depend on me, but is determined by a combination of the right circumstances, teamwork in both Thailand and the EU and political will. I hope that the stars will be aligned in an auspicious manner for us to get to that new level in our relations.